We helped create this modern infographic detailing how schools purchase from vendors and approach design of the classrooms. We help show how these changes affect children’s behavior and learning productivity. 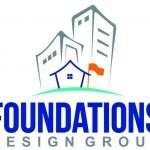 We also help maintain and make changes as needed on the FDG website.